Marie Yovanovitch has previous experience of working in Ukraine. On 18 May, President Barack Obama announced his intent to nominate Marie L. Yovanovitchas ambassador to Ukraine, the White House has said on its website. Current US ambassador Geoffrey Pyatt was nominated as ambassador to Greece. Yavanovitch was born in Canada to a family of Russian emigrants. They moved to the USA when she was a child. Yovanovitch received a B.A. from Princeton University and an M.S. from the National War College. Since joining the Foreign Service in 1986, she has also served at posts in Canada, Russia, Somalia, and the United Kingdom. Yovanovitch was Senior Advisor and Executive Assistant in the Office of the Under Secretary for Political Affairs from 2004 to 2005 and Deputy Chief of Mission at the US Embassy in Kyiv, Ukraine from 2001 to 2004. She is a career member of the Foreign Service, class of Minister-Counselor, currently serves as Dean of the School of Language Studies at the Department of State’s Foreign Service Institute, a position she has held since 2014. Yovanovitch was Deputy Commandant at the Eisenhower School at the National Defense University from 2013 to 2014. She served in the Department of State’s Bureau of European and Eurasian Affairs as Principal Deputy Assistant Secretary from 2012 to 2013 and as Deputy Assistant Secretary from 2011 to 2012. 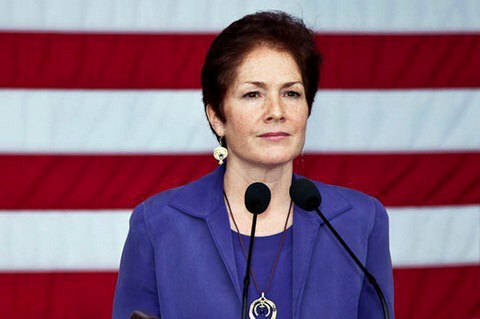 Prior to that, she served as US ambassador to Armenia from 2008 to 2011 and as US ambassador to Kyrgyzstan from 2005 to 2008. Similar to his predecessors, Pyatt is leaving Ukraine after three-year service.